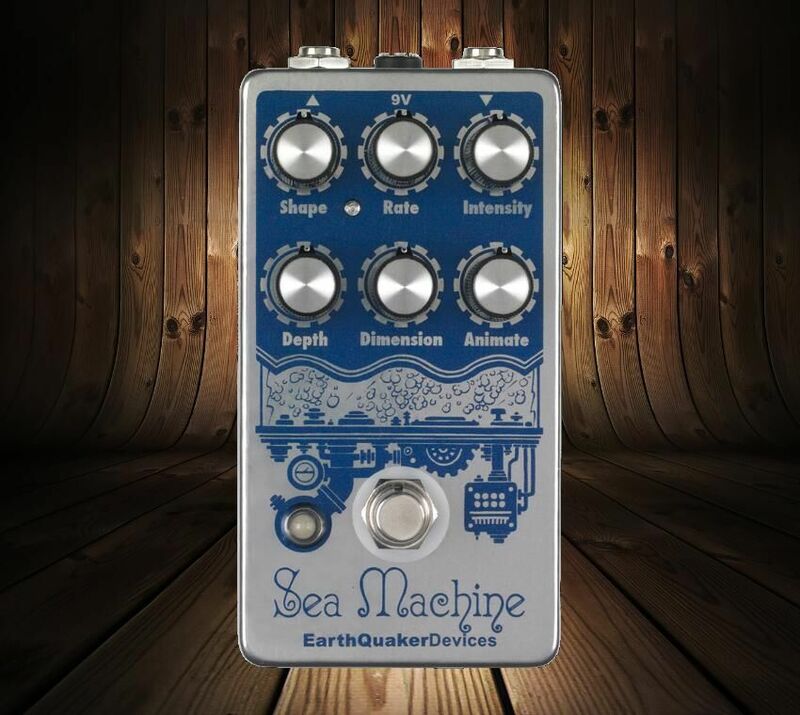 The Sea Machine is a chorus pedal with as many modulation possibilities as there are fish in the ocean. That’s a lot of fish. And a lot of modulation. From subtle, shimmery chorus sounds, to wobbly, seasick, warbly pitch-bent detuning that rocks the boat, the Sea Machine is the audio bait that’ll help you reel in the big one. The delay line has controls for Dimension, Animate, and Depth. 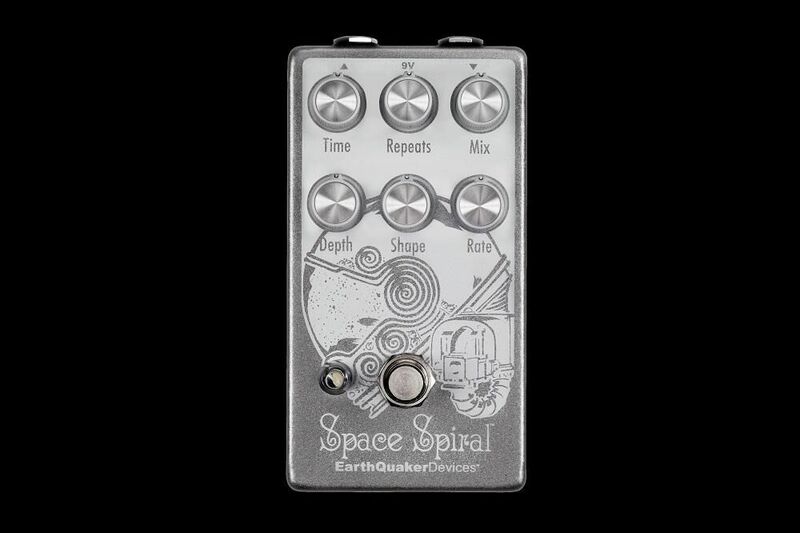 The Dimension control adds a slightly detuned slapback at low levels, reverb-like ambience at mid-levels, and a trippy echo-resonance that leads to self-oscillation when cranked. The Animate control is the real pearl in the Sea Machine’s oyster, if you will. This controls how far the pitch swings. 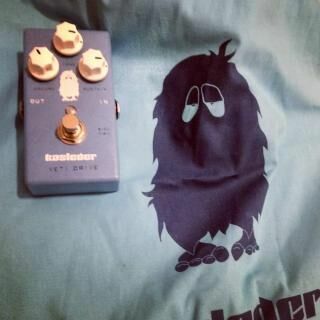 At lower settings, you’ll hear slight detuning for a subtle double-tracked thickening effect, á la traditional chorus pedals. 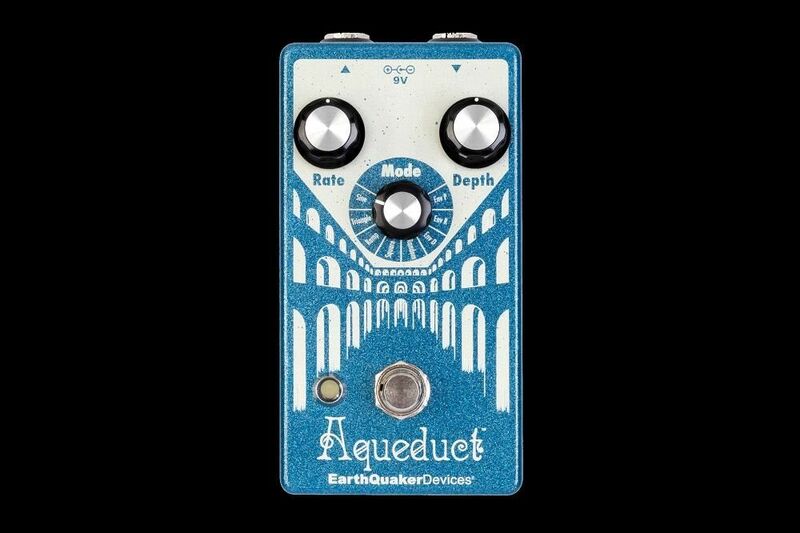 As you increase the Animate control, the pitch swings further and further away from the root note for an effect that lies somewhere between chorus and vibrato, before landing at full tilt on sonar-like oscillations that sound more like a giant monster-movie beast awaking from its undersea slumber than any effects pedal we’ve ever heard. Finally, the Intensity control rounds out the delay line, adjusting the blend between the modulated and dry signals. With this mix of standard and unique controls, everything from subtle warble, classic Leslie, seasick pitch bends, strangled alien sounds, stunted arpeggiations and many more far out sounds are available. Or you could just use it as a chorus. That works, too. 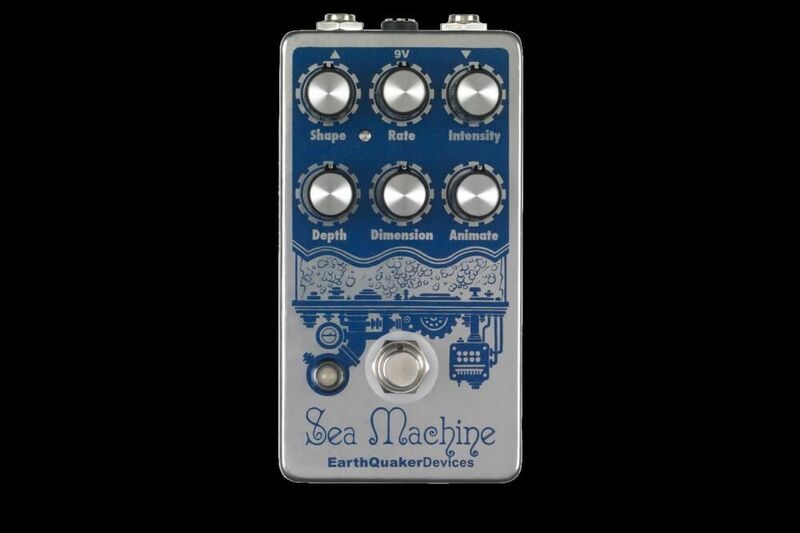 Oh, and if you’re a bass player who fancies themselves a fan of the classic 80s post-punk bass sound, the Sea Machine is pretty much just like (tone) heaven. 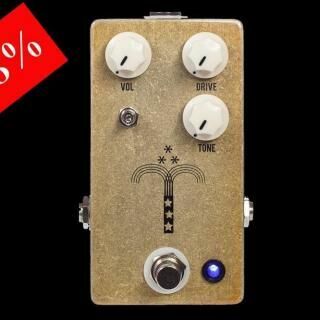 We’ve designed the Sea Machine to work well following fuzz / overdrive / distortion pedals without getting muddy, lowering in output, or breaking up, because we like running distortion pedals into things. 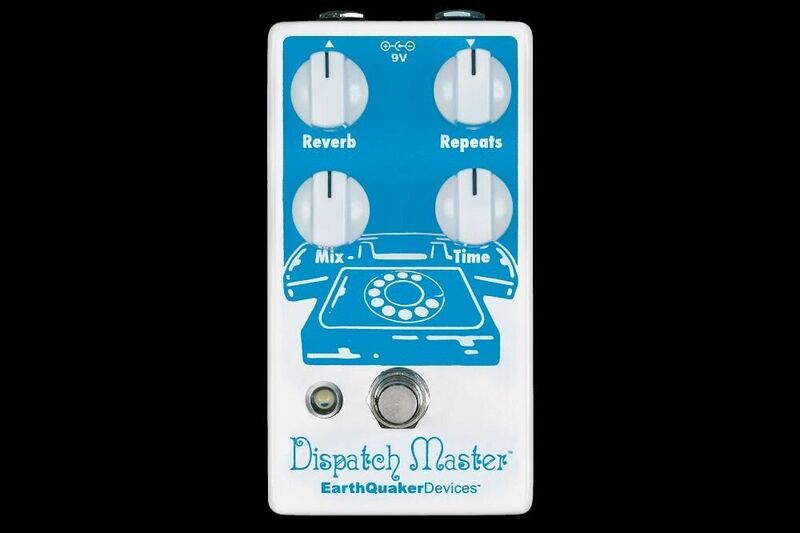 Also, when engaged, the Sea Machine’s transparent buffer leaves the all-analog dry signal unaltered and crystal clear.